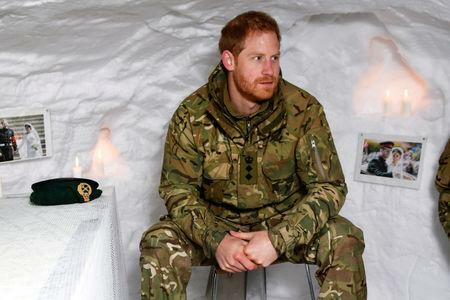 LONDON (Reuters) - Prince Harry flew up to the Arctic on Valentine's Day to meet the Royal Marines and learn about special freezing-weather helicopter commando exercises. 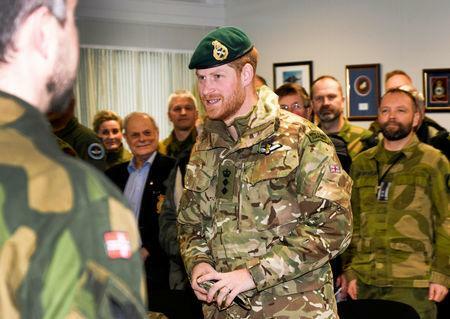 "This is the first time His Royal Highness has visited Joint Helicopter Command since becoming Captain General and it is great that he is doing the visit while we’re in Norway," said Warrant Officer 1st Class Adrian Shepherd, who has served with force for 27 years. 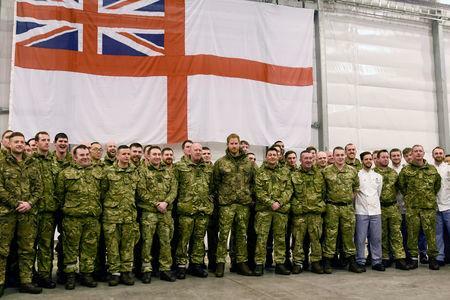 "It is good for the people out here to see their hard work recognised during a significant year for the exercise," he added. The Royal Marines, known as green berets, are Britain's elite amphibious fighting force and are routinely deployed to some of the most dangerous conflicts in the world. The Commando Helicopter Force provides aerial support to the marines and practises in the Arctic every year.